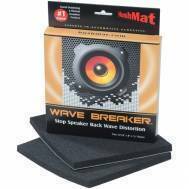 HushMat makes every car stereo sound BETTER! 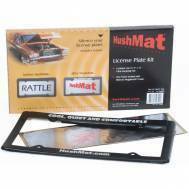 If you’re installing an aftermarket car stereo or just replacing a set of speakers, you need HushMat. If you want to hear your bluetooth set better or simply want to have a conversation in your car without yelling, you need HushMat. 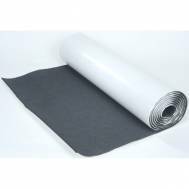 HushMat auto sound deadening material reduces road noise, vibrations and rattles that prevent you from hearing all the music, your bluetooth or your GPS! To illustrate – when you are driving on the freeway and listening to music and exit the freeway – at the end of the exit ramp – does your car stereo sound louder? When driving on highway: music; phone calls; and, conversation is drowned out by road noise! 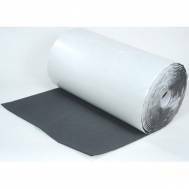 HushMat sound deadening eliminates the road noise so you hear more music and not all the noise! You can enjoy a conversation without yelling back and forth and also hear your GPS unit with the right car soundproofing! 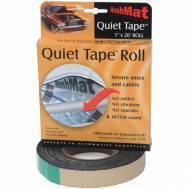 HushMat® makes every car audio system sound BETTER! 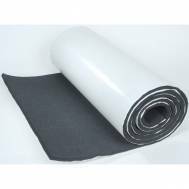 HushMat® reduces road noise, vibration & rattles, engine & exhaust noise that overpowers your car audio system! HushMat® sets the stage so you hear all the music! 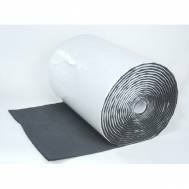 Soundproof your car or truck with #1 rated sound deadening material: reduce road noise, reduce engine noise, reduce the noise that distorts your car audio system sound with the best! HushMat®. Forms to uneven surfaces without slicing up your hands! Reduce Road Noise by over 50%!